« How To Update Drivers for a Sound Card? How To Update Drivers for a Video Card? In previous versions of window it was very complicated to install or update any driver. If a driver accidentally got uninstalled or removed, then you had to go through a series of difficult steps in order to install it. For the installation of drivers, a compact disk was usually required. Thanks to the newer versions of windows it has become very easy to install video card drivers on to your system. 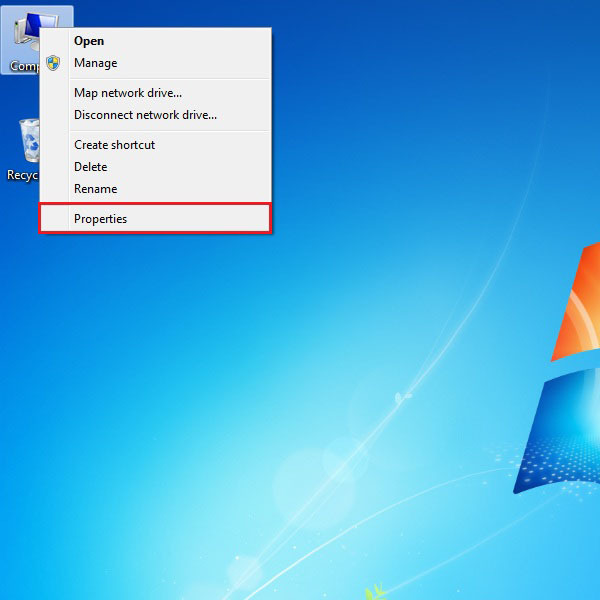 A new and improved device manager automatically searches for the best driver available online for your system and helps to download video drivers automatically. First of all you would need to access Device Manager. To do that you would have to right click on the “My Computer” icon appearing on the desktop. From the menu you need to select the “Properties” option. By clicking on the “Properties” option a new window will be displayed on the screen. Here you would find a number of options related to your system. 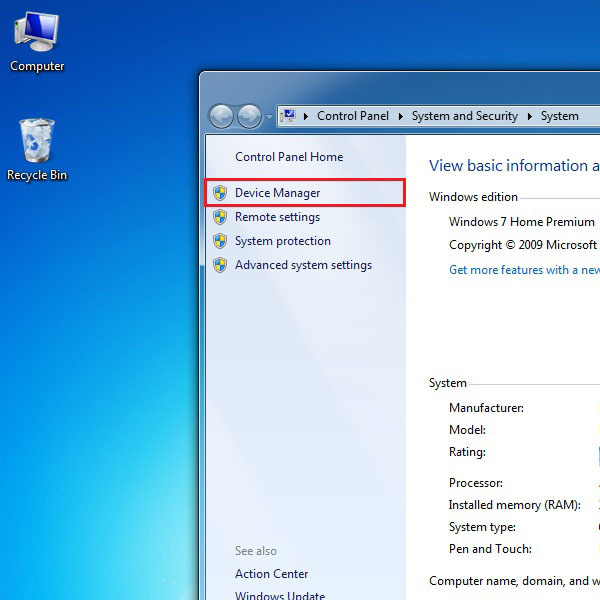 Click on the “Device Manager” tab which is located in the menu towards the left side of the window. A new window would pop up displaying a detailed listing of all the devices available in your system. 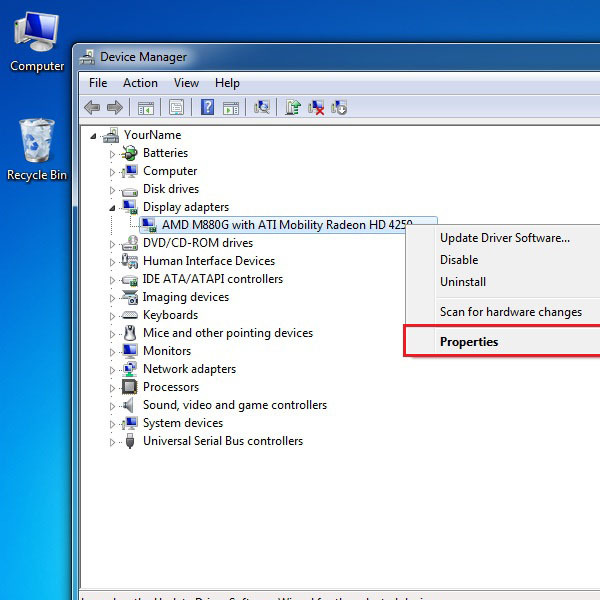 To update the video drivers look for the “Display adapters” tab from the given list and select it. Once the menu expands, all the names of the video cards, currently connected with your PC, would be shown. 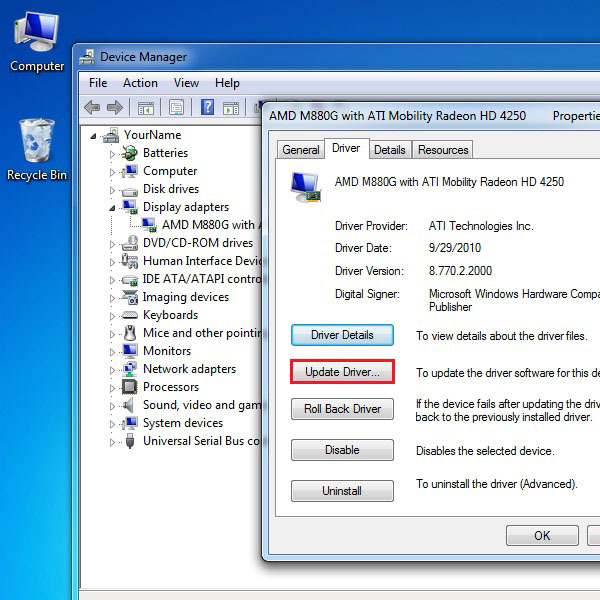 For this tutorial we would be selecting the “ATI mobility Radeon HD 4200” option. Right click on it and select “Properties” from the menu. A new window will open in which you will find more details about the driver you have selected. Move on to the “Driver” tab and click on the “Update Driver” button. A new window will open where you would be displayed with two options. 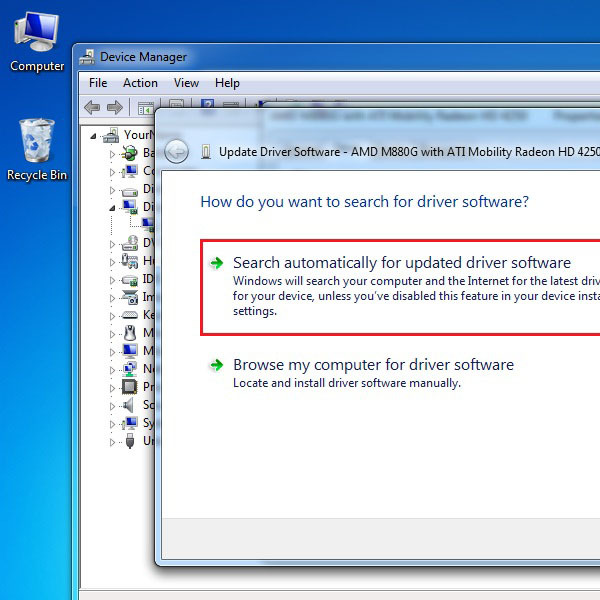 The first option allows windows to automatically search online for the required driver update. Windows would search, download and install the required updates all on it’s own. If you already have downloaded the updated software then you can use the second option to browse through your hard drive, select the required software and move on to the installation process.